Why is Milky Way Called Milky Way? What’s the first thing that comes to mind when you hear Milky Way? Do you look up to the stars and think of the galaxy far, far away? Or (like me) do you think of biting into a chocolate covered layer of caramel? 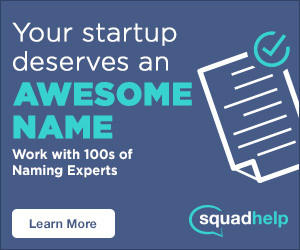 Whether it’s the former or the latter, you’ll be surprised that the two are not linked. Why is it Called Milky Way? Most would assume that the Milky Way candy bar was inspired on a empty stomach, laying on the hood of a car, looking up at the night sky and seeing the milky band of light that’s formed from a cluster of stars in our galaxy. 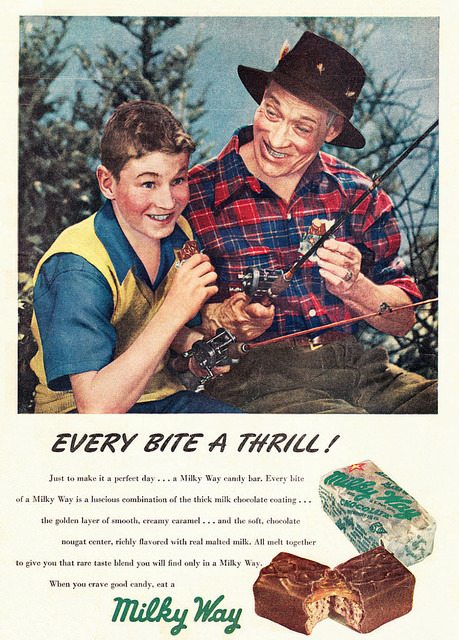 Surprisingly, that’s not what inspired Franklin Clarence Mars, of Mars Confectionery Company, to land on the name Milky Way in 1923. Instead, he modeled and named the chocolate bar after a popular malted milk (milkshake), a popular drink at the time. According to Mental Floss, the milkshake first appeared on the market as formula for infants in the late 1800s. The malted milk was synonymous for its taste and supposed health qualities, but the standout was the “malt,” and began to be used to flavor creamy milkshakes for adults and kids alike. 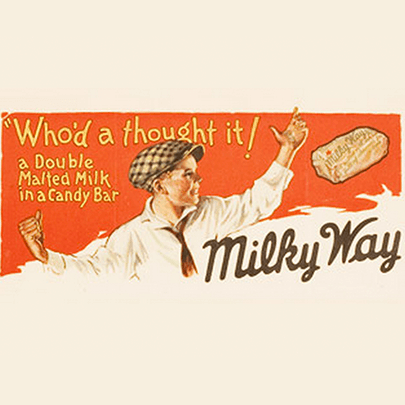 Though the name wasn’t trademarked until 1925, the Milky Way was introduced nationally in 1924 and sold over $800,000 worth of bars in the first year. And, unlike a typically Hershey bar, which weighed about 1.55 ounces, the Milky Way was almost double the weight, coming in at a whopping 3 ounces. Funny enough, the coating of the bar was originally supplied by Hershey’s chocolate. 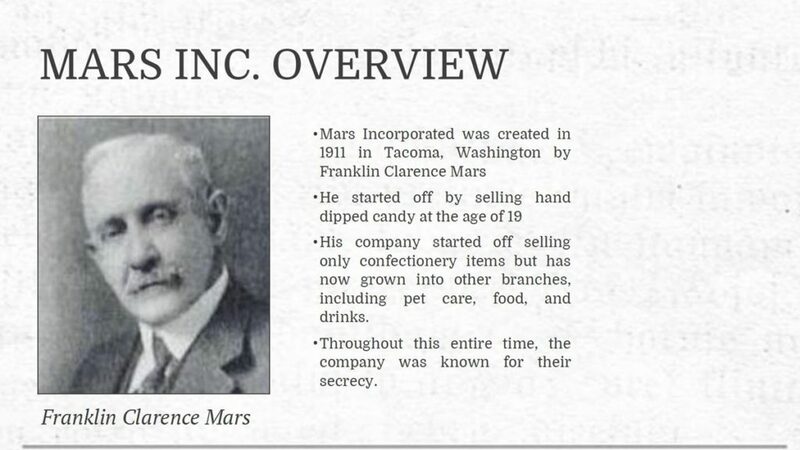 Although the Mars company continues to assert that founder Frank and his son Forrest both created the bar, Forrest has claimed otherwise. Due to his parents divorce in 1910, Forrest and Frank didn’t see each other for nearly 20 years and their first encounter came when Frank had to bail him out of jail. They worked in tandem for a few years, until they had another disagreement. This time, in 1932, Forrest headed to England to create a name for himself in the confectionery business. Interestingly enough, Forrest’s departure to Europe gave an international spin on the bar his father had given him the rights to. In Europe, the bar is simply called the Mars Bar, not the Milky Way like here in the United States. And it’s not only the name that’s differentiated the bar on the shelf, but also it’s filling. Like a 3 Musketeer’s bar, it doesn’t have a caramel layer and only features a nougat center, which is a little less dense than the product in the US. You may recall, but way back in the 90’s, Milky Way emphasized the bars lightness by running a series of TV ads that showed the bar floating in milk!